Elephants are in fashion on jewels and a lot of more products. 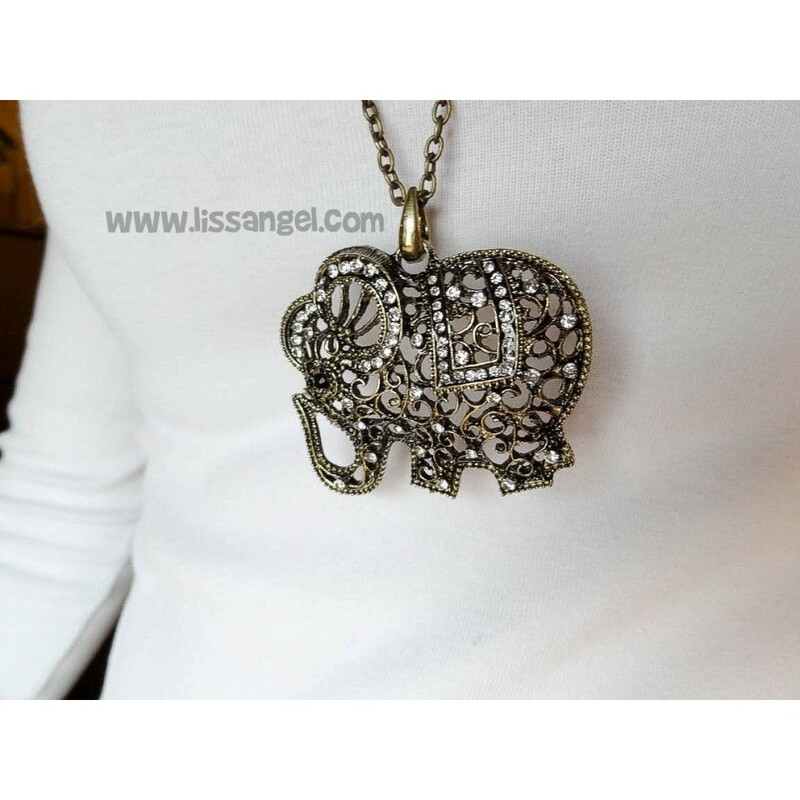 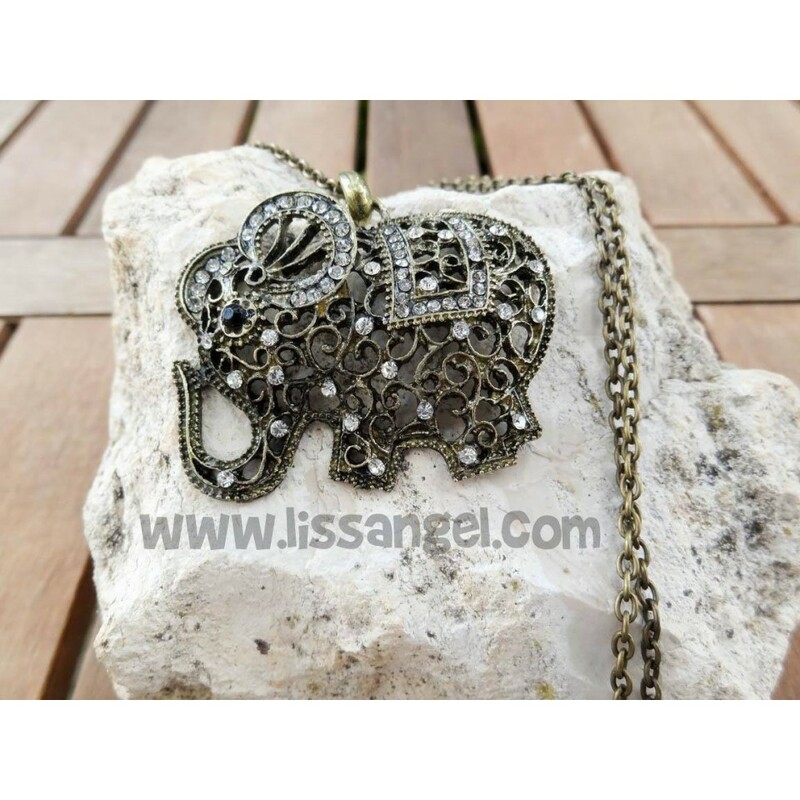 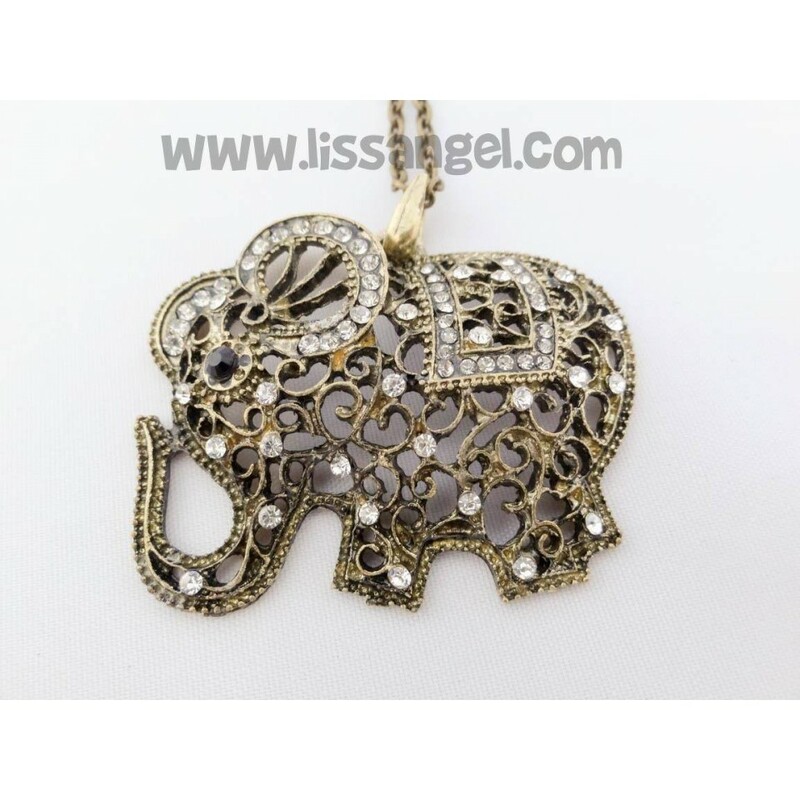 Many people love to wear animal jewelry and pendants representing exotic and wild animals like elephants. 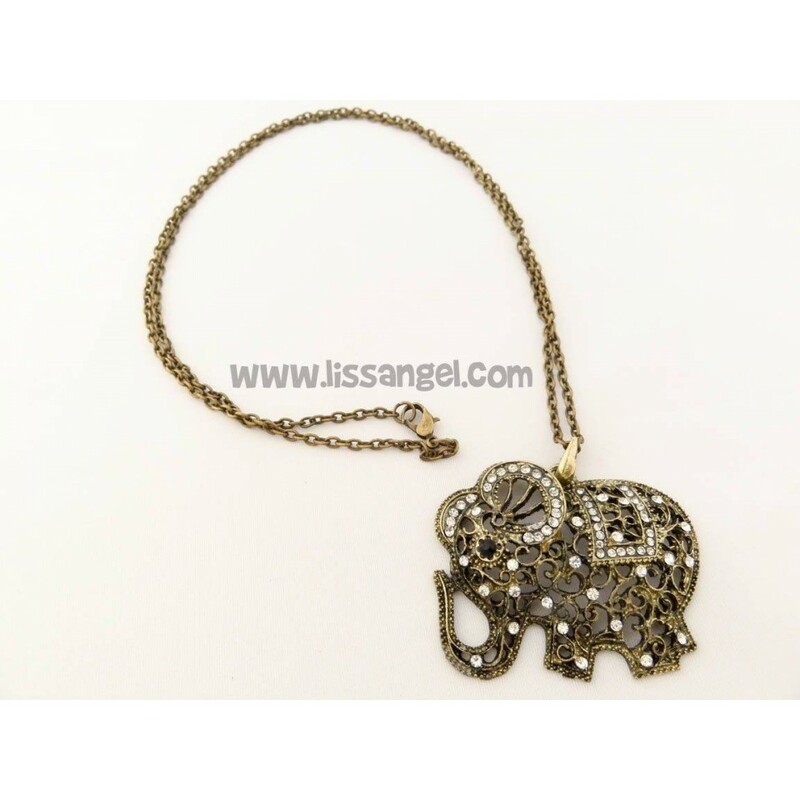 Made of old gold metal look, has many small bright embedded. Elephant Size: 5cm wide x 4cm high.